Welcome to the R365 Academy! This course-based learning tool may just become your best friend over the next few weeks as you dive into the world of R365. This lesson will focus on how to get the most out of your one-stop spot for Learning, the R365 Academy. You can open the Academy at any time by hovering over the help menu and selecting 'R365 Academy'. Each time you open the Academy, the Course Catalog will load. 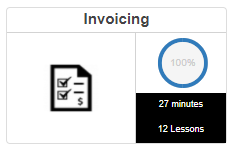 From here, you will see all of the Courses that are relevant to your assigned roles, like Invoicing and Check Runs for an AP Clerk. Don't let this stop you from checking out any of the other material that may interest you on the 'All Courses' tab (black). You can scroll through the catalog, or use the 'search' bar to find specific courses (black). Make sure to check the 'New Features' section (blue), for training on the latest R365 features. A Section, like Accounts Payable, will have a number of Courses related to the AP Process. Each Course is then made up of Lessons that start with a short video (we try our best to keep videos under 4 minutes). Most Courses will end with a Quiz, while some Sections will have homework that covers all Section material. 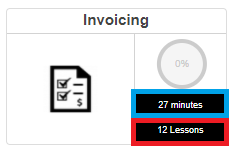 Each Course displays how many Lessons are included (red) as well as how long the entire Course will take to watch (blue). As you view Lessons, they will be marked as complete with a date stamp. All User progress is tracked and can be viewed by management using the Academy Progress Report in My Reports. So make sure you are staying on top of your learning! To open a Lesson, first select a Course, then click the 'Start Course' button. Academy Lessons cater to both those who prefer to watch a video, and those who want to read the same content at their own pace. 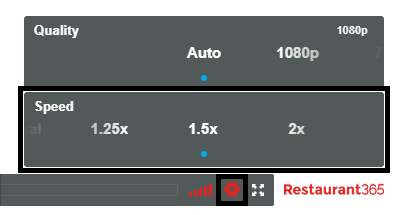 For viewers, you can adjust the playback speed of each video by clicking on the gear icon and selecting the playback speed. For readers, you can use 'Ctrl + F' to quickly find specific words, click on GIFs to play them, and click on images to expand them. Finally, directly below the Lesson Video, any related articles will be listed for a deeper dive into related subjects. When you are ready to move on, click the 'Next Lesson' button. If you've reached the last Lesson, and the Course has a quiz, you'll be able to test your knowledge of the material you've just learned. You can take the quiz as many times as you need, but remember, you must pass with 100%. No student left behind! When you pass the quiz, the Course completion will now show 100 percent. Congratulations! You are now one step closer to becoming an R365 Master! The R365 Academy is a continual work in progress with new lessons being added regularly. We'd love to hear your feedback so please reach out to R365 Support with any suggestions or questions.